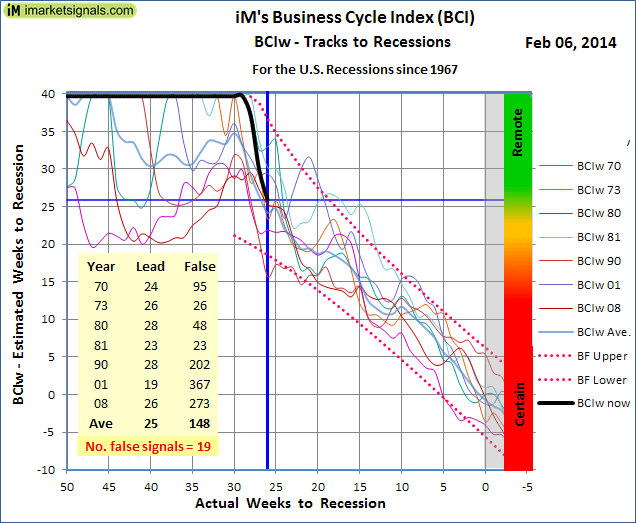 The iM Business Cycle Indicator (BCI) is at 161.1 down from last weeks upward revised 162.2. BCIg fell to 14.0 from last week’s revised 15.8. 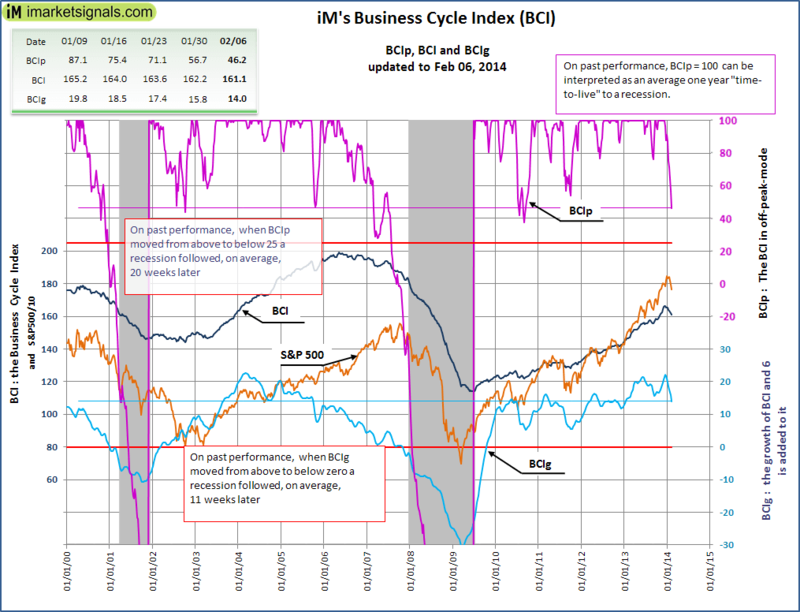 The derived off peak indicator BCIp continued its downward journey to 46.2, which translated to the BCIw as an equivalent 26 weeks possible lead to a recession with a remote probability of a recession occurring. The statistics from previous periods prior to recessions show that even with these downward trending figures it is too early to make a recession call.